(CNN) - Tesla tanked in Consumer Reports' 2018 survey of vehicle reliability. 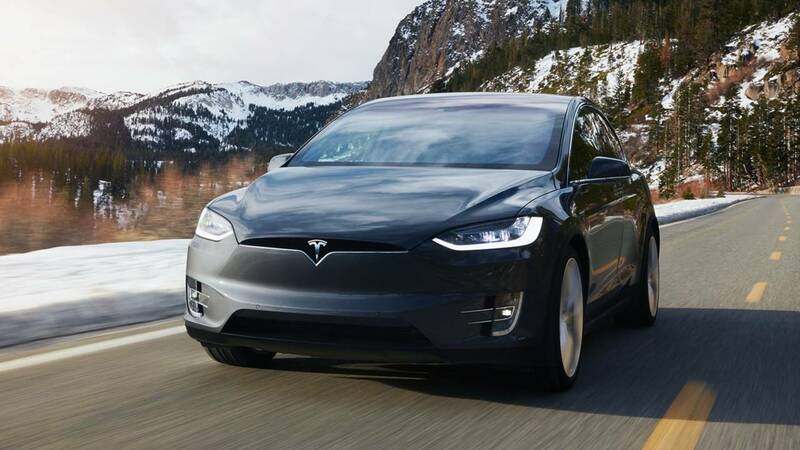 The Tesla Model S and Model X were both rated as below-average dependability — "much worse than average" for the Model X — in the group's latest survey of vehicle owners. There was some good news for Tesla in the report, though. The Model 3, at least the basic rear-wheel-drive version, is shown to have average dependability, which is good enough for that car to maintain the organization's recommendation. The survey data does not take into account the more recently introduced all-wheel-drive versions of the Model 3, though. Consumer Reports, the organization that publishes the highly influential magazine and web site of the same name, regularly surveys its own members who own a total of over half a million vehicles among them. Jake Fisher, director of auto testing at Consumer Reports, noted that Tesla's issues tend to crop up in its more complex products. For instance, there have been lots of problems with the automatically extending door handles on the Model S and with the robotic falcon-wing doors on the Model X. The air suspension system on the Model S has also been a source of trouble. He blamed Tesla's issues partly on the automaker's tendency to continuously make updates and changes to its products. Consumer Reports has long found that major updates and changes to cars tend to result in problems that get worked out over time. With Tesla, though, product changes are being made constantly, making it harder to get a handle on issues. Tesla countered that, as for the Model X SUV, quality is not currently an issue, according its own figures. "While the earliest production Model X cars encountered some quality inconsistencies, this is simply not a concern for Model X cars being built today, and it hasn't been one for quite a while," a Tesla spokeswoman said. Also, improvements continue to be made to fix some suspension problems that had plagued the Model S in the past, she said. She also pointed out that the Model S has ranked at the top in Consumer Reports' owners satisfaction surveys every year since 2013, the first year that it was included. Fisher contrasted Tesla with Toyota which, though sometimes derided as boring, makes changes and updates cautiously. Toyota's luxury brand Lexus, and Toyota itself, ranked first and second, respectively, in the reliability survey. Overall, Asian brands performed best in the survey, with Mazda ranking third. US-based brands, meanwhile, sunk in the rankings. Besides Tesla, Buick, Chevrolet and Chrysler also fell in the rankings. Chinese-owned, Swedish brand Volvo finished last. "Most of our brands continue to maintain or improve relative to industry average," said a spokesperson for General Motors, which makes Chevrolet and Buick vehicles. "As always, we are interested in obtaining the survey data to better understand our performance and where we can improve." Fiat Chrysler Automobiles, which makes Chrysler vehicles, said it is working to improve its products. "In addition, our teams are aggressively working toward solutions to any concerns to ensure complete customer satisfaction," a spokesman said. Volvo declined to comment on the survey results.